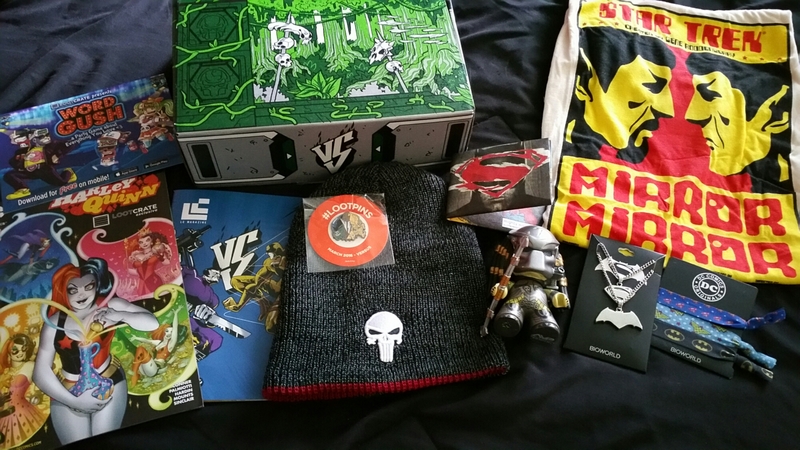 So this month Loot Crate is here and theme is “VS”. We have a nice mix of Star Trek, DC & Marvel comics 💭 to Aliens vs. Predator. I rather enjoy the Daredevil beanie that can be reversed into the Punisher skull 💀. The comic book wasn’t to bad. I like the art work and story line. Had me laughing at some points. Alot better than some of the other ones in the past. The crate was a little smaller this month. But it had alot more usable stuff this go around. 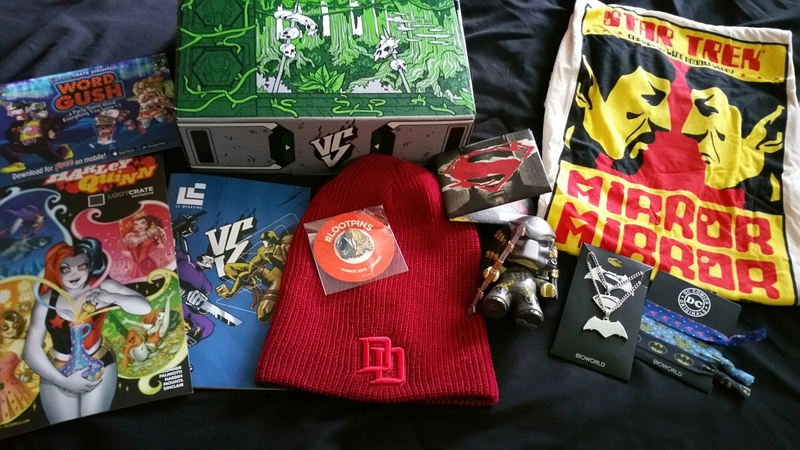 So I thought I’d something a little different from the normal unboxing on my Blog. I made a YouTube video to show you! Sadly afterwards I realized that I had made a mistake while recording the video and saw that the camera was set wrong. You have the black bars on the side… Sorry about that and I’ll be more mindful of that from now on. At any rate I hope you all enjoy! !